Tucked between Brazil and Argentina, two South American “tourist biggies,” is Uruguay, South America’s best kept secret. It has a World Heritage site, a plethora of beaches, thermal spas, working guest ranches, friendly people, and a tranquil ambiance that is hard to find in today’s frantic world. Most of the historic aspects of Montevideo, the capital, can be conquered in a day but the charm is found when wandering along La Rambla. The Ramble stretches along the water from the Old City to the neighborhood of Carrasco past parks and beaches dotted with fishermen, bathers, street performers, and home to the popular weekend Port Market. 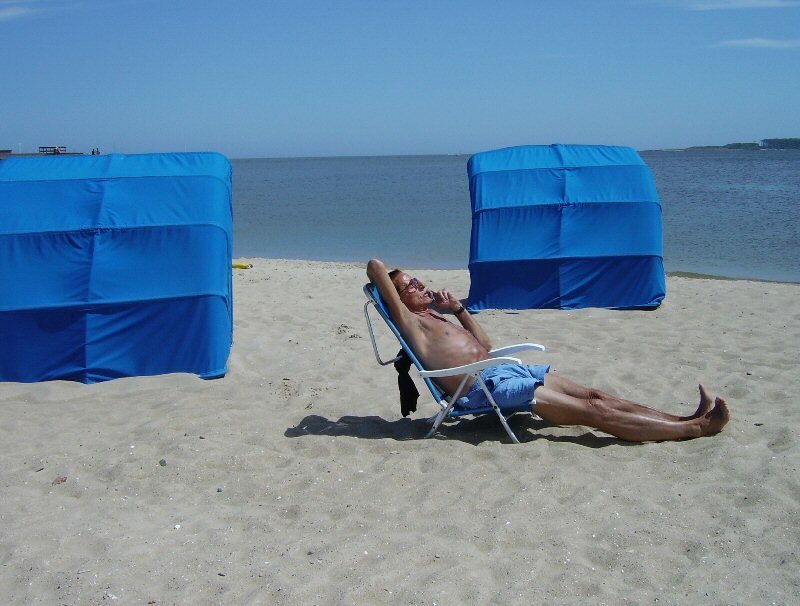 The premiere beach destination is Punta del Este, which is second only to Rio as the place to be seen in South America. There are beautiful beaches, whale and seal watching boat trips, great restaurants, Vegas-style shows, casinos, art galleries, golfing, and everything one would expect from a world class destination. Punta del Este is proud of its weeklong Carnaval that rivals Montevideo’s. A favorite spot to enjoy a spectacular sunset is Punta Ballena only 10 minutes from the heart of Punta del Este. 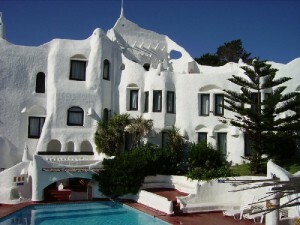 Punta Ballena is also home to the unique Casapueblo. The architecture of the rambling home, studio, and hotel created by artist Paez Villero brings to mind peaks of whipped cream. West of Montevideo is Colonia del Sacramento, an UNESCO World Heritage City, and a great place to wander along the cobblestone streets. Dating from the 17th century, the old city boasts a beautifully preserved colonial ambiance. There is easy access by fast ferry to Buenos Aires. It is a relaxing place to wander about then have mate tea at one of the many restaurants with outdoor seating. Side trips to a winery, a new and growing industry in Uruguay, are popular. While Montevideo, Punta del Este, and Colonia are the most popular tourist destinations, the thermals north of Colonia near Salto are all-season destinations. In the 1940s while drilling for oil, pockets of pure hot water were discovered that led to the development of resort hotels. 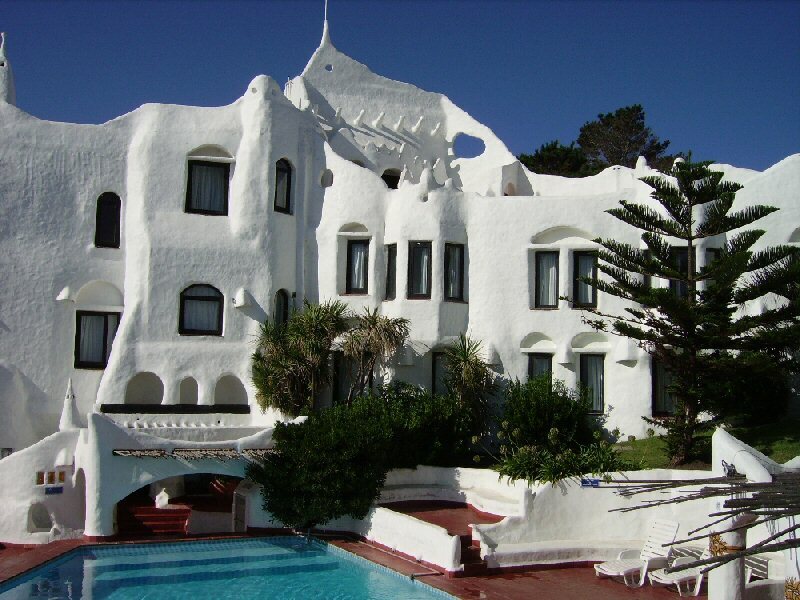 The Hotel Horacio Quiroga, located on the Rio Uruguay, is just one of several resorts with thermal pools, a water park, spa, golfing, sailboat rides, and nightly events that include tango dance lessons. The temperature of the pure water in the pools and piped to the accommodations averages about 104 degree Fahrenheit and is considered therapeutic. Tours of the Salto Grande Dam and several museums are close by. 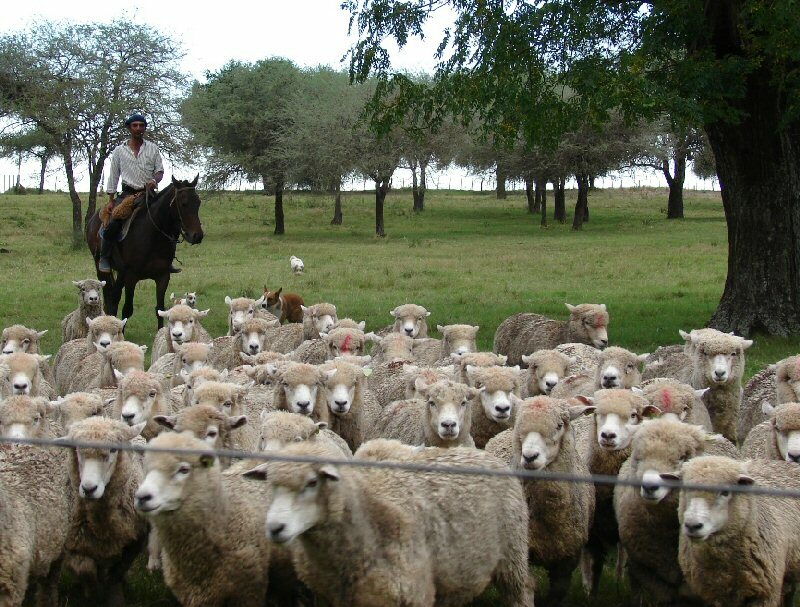 The interior of Uruguay is mainly farmland and where visitors can really feel the pulse of Uruguay while staying on an Estancia Turistica, a working ranch. Dotted throughout the country most estancias offer excellent accommodations with the opportunity to get up close and personal with the day-to-day running of a ranch, maybe even riding with the gauchos. Each estancia is different with many offering bird watching, horseback riding, and other eco-related activities. 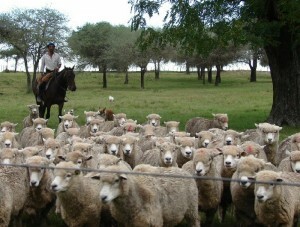 La Paz Estancia, near Paysandu, was one of the first tourist ranches. It continues as a Charolais breeding farm and sheep ranch. La Paz has maintained its rustic character with accommodations in an historic 1860s building, their own church, and plenty of open space to breathe free but it also has a pool and a small spa. Guests can help herd the sheep if they so wish, enjoy the spa, or, best of all, do nothing.